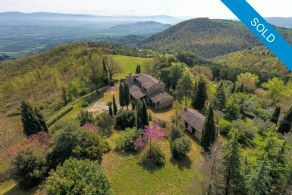 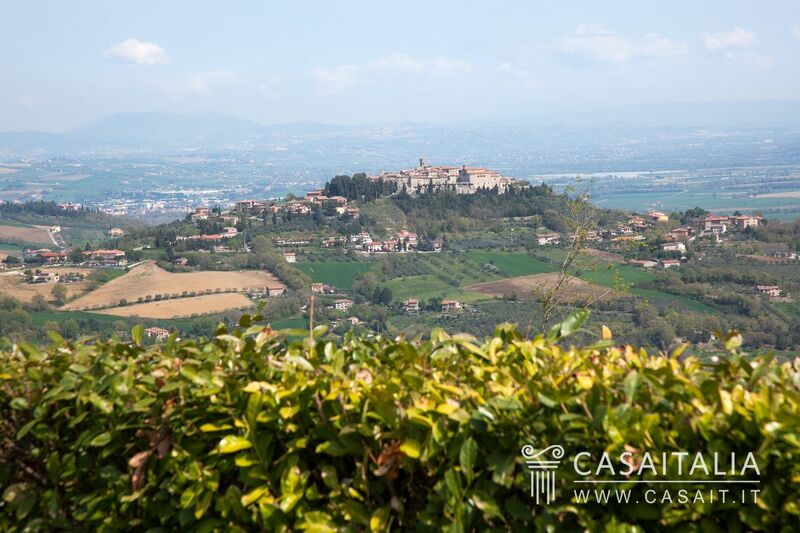 Traditional farmhouse for sale in a panoramic location between Montecastello di Vibio e Todi, with annex and around 7.7 hectares of private land with olive grove. 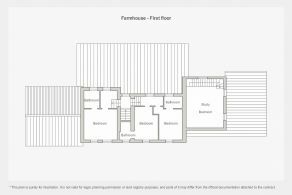 Total surface area of 324 sq.m over two floors, with large living areas, 4 bedrooms and 6 bathrooms. 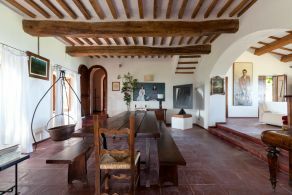 Pool possible. 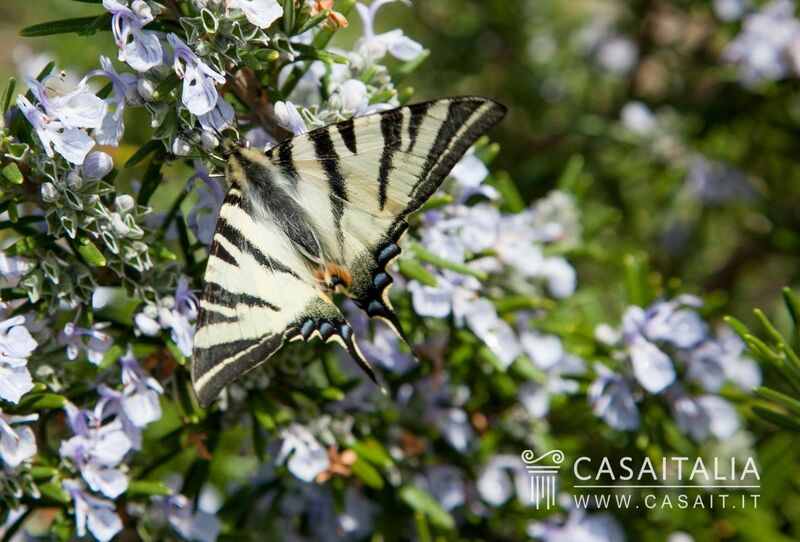 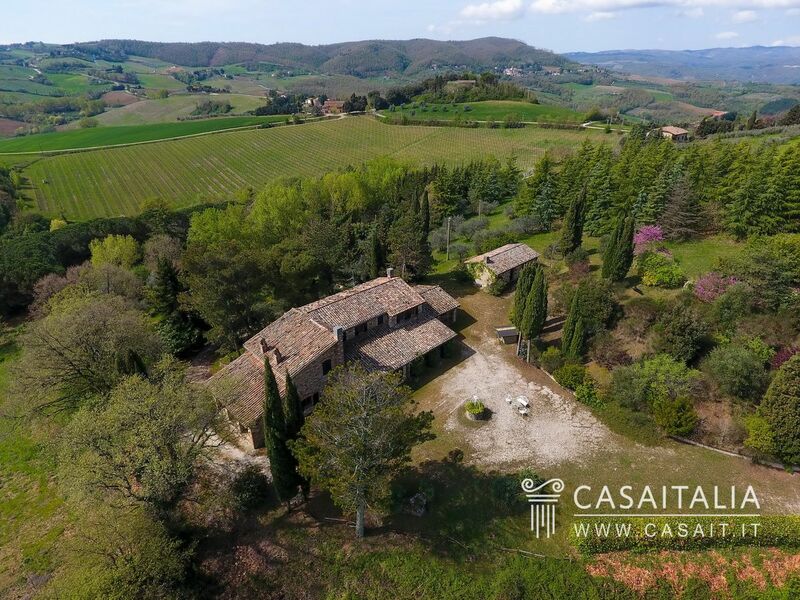 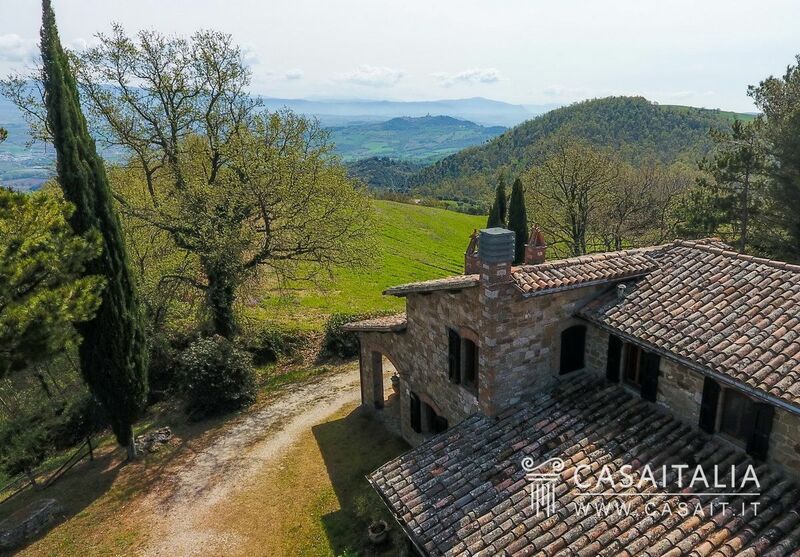 Casale Montecastello is a traditional stone farmhouse surrounded by 7.7 hectares of land, in a marvellous hilly location just 3.5 km from the picturesque village of Montecastello di Vibio, with a fantastic view and lots of privacy. 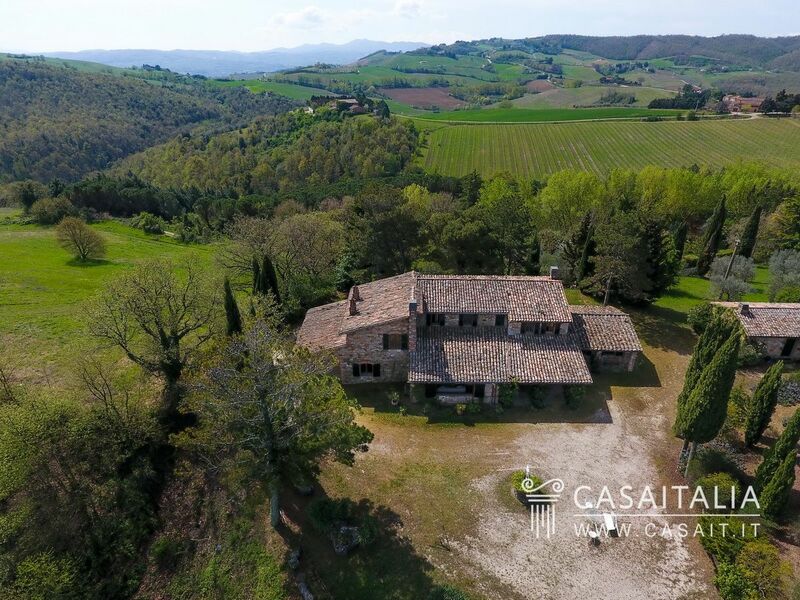 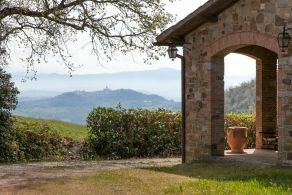 The farmhouse is situated on top of a small hill, overlooking 360 degrees of unspoiled countryside, with a unique view of Todi, just 12 km away and reachable within a quarter of an hour, and of Montecastello di Vibio. 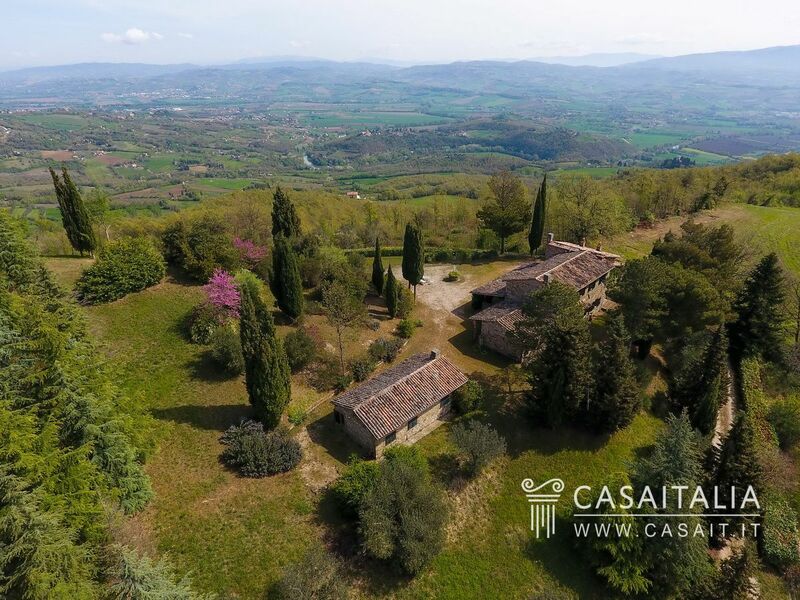 The motorway, 11 km away, provides quick and easy connections with other important Umbrian cities: Orvieto (39 km), Perugia (47 km), Foligno (47 km), and Spoleto (55 km) are less than an hour’s drive away, while you can get to Rome (138 km) in an hour and a half, and Arezzo (135 km) or Siena (150 km) in less than two hours. 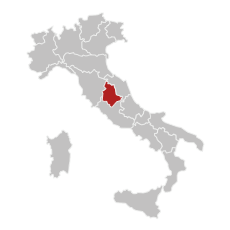 The nearest airport is Perugia, 40 minutes’ drive away; in around 2 hours it is also possible to get to Rome’s airports (Ciampino 156 km and Fiumicino 173 km) and Florence airport (206 km). 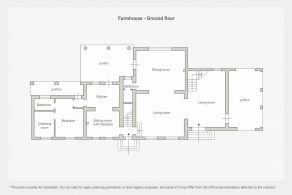 The property comprises a farmhouse with two floors, measuring 324 sq.m in total, plus three large porches, and an annex measuring 56 sq.m in total, with one floor. 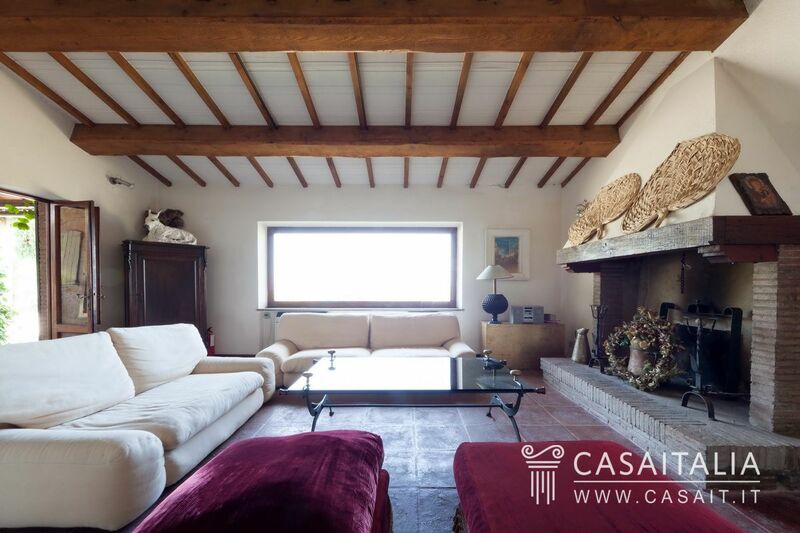 On the ground floor of the residence there is a living room with fireplace, a large dining room, a sitting room, another living room, the kitchen, a guest bathroom for the living area and a double bedroom, with dressing room and private bathroom. 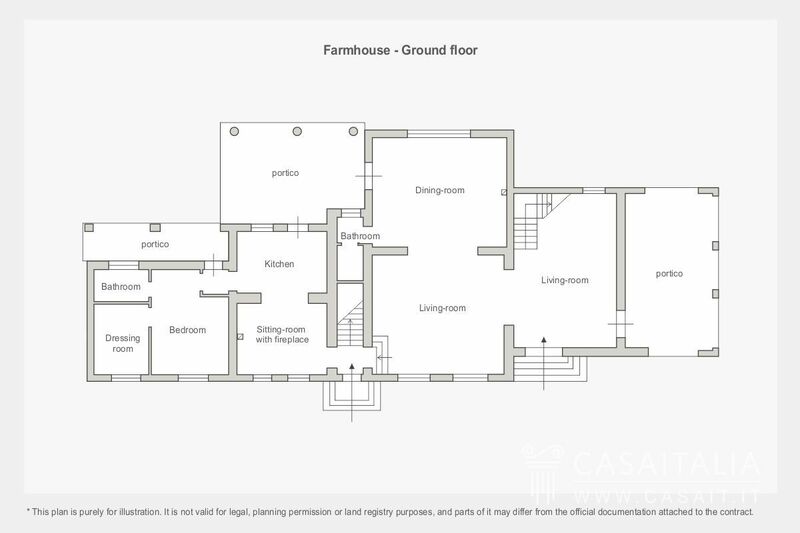 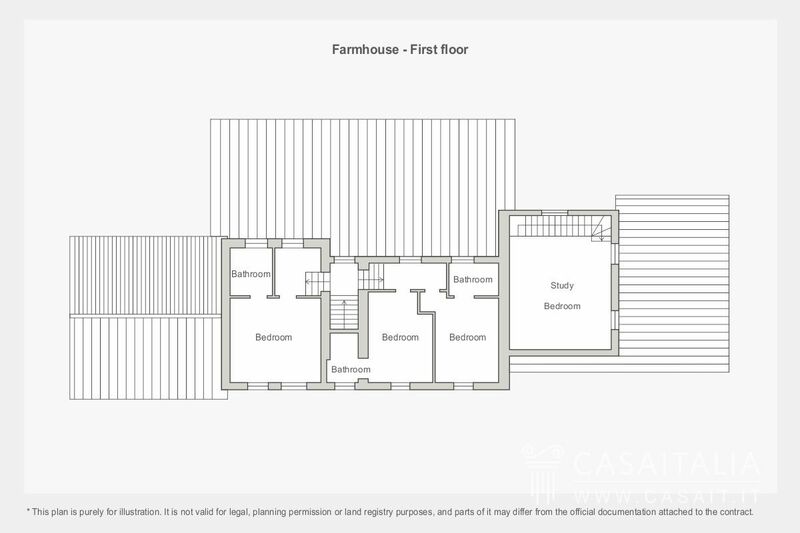 The first floor is used as the sleeping area with three bedrooms and three bathrooms plus a large studio (a potential fifth bedroom). 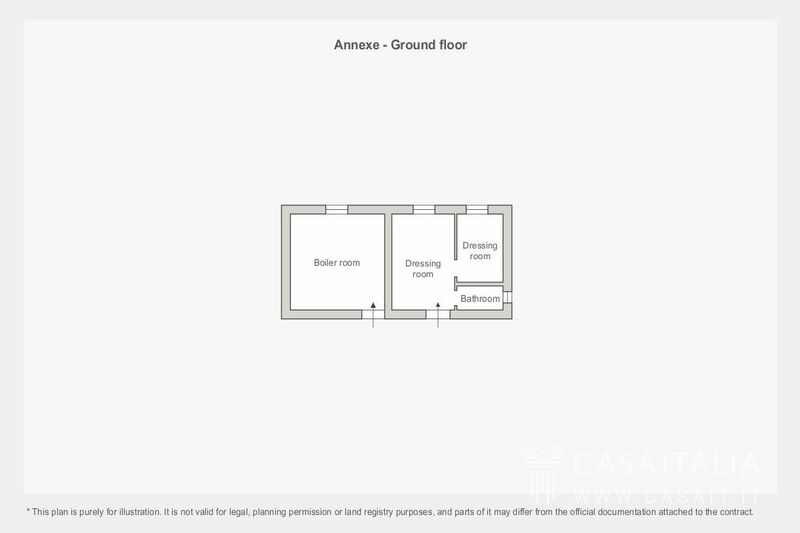 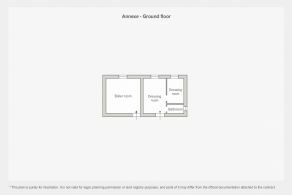 Close to the house there is an annex with a large area used for a storage and utility area, and another two storerooms with a bathroom. 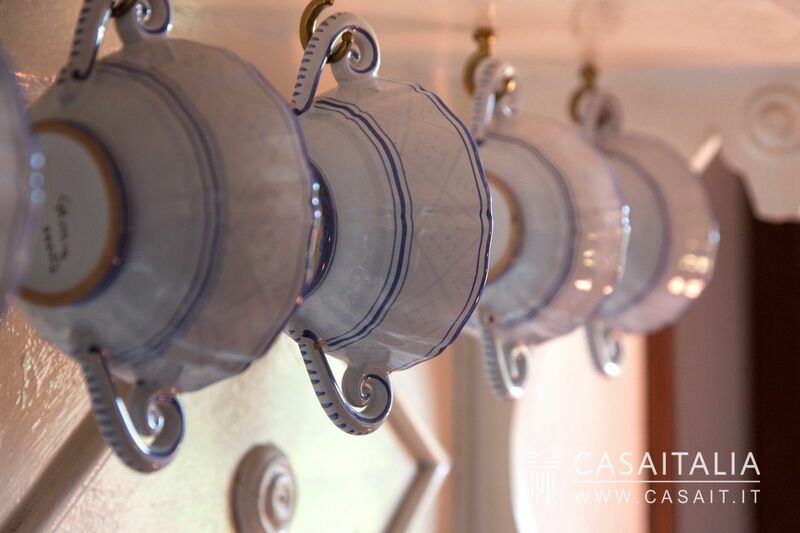 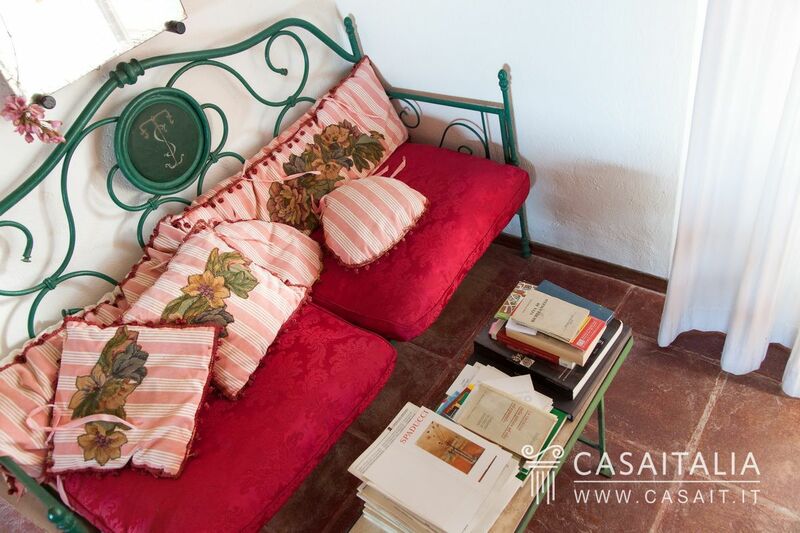 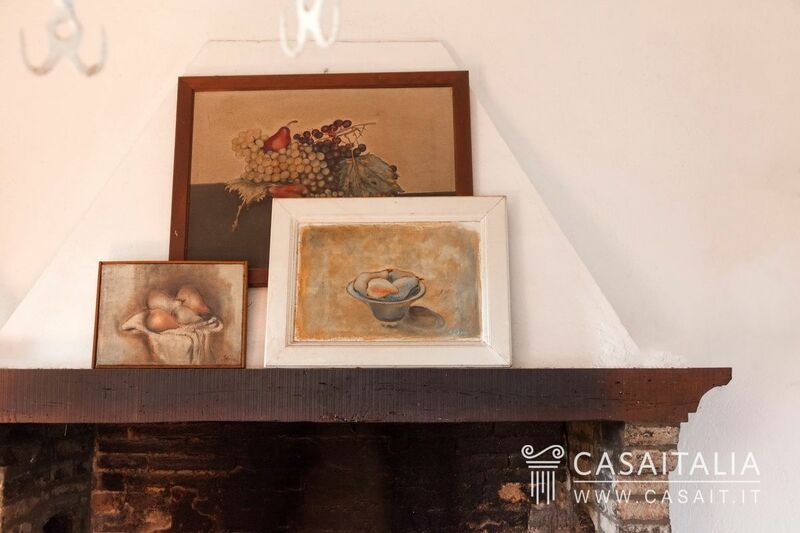 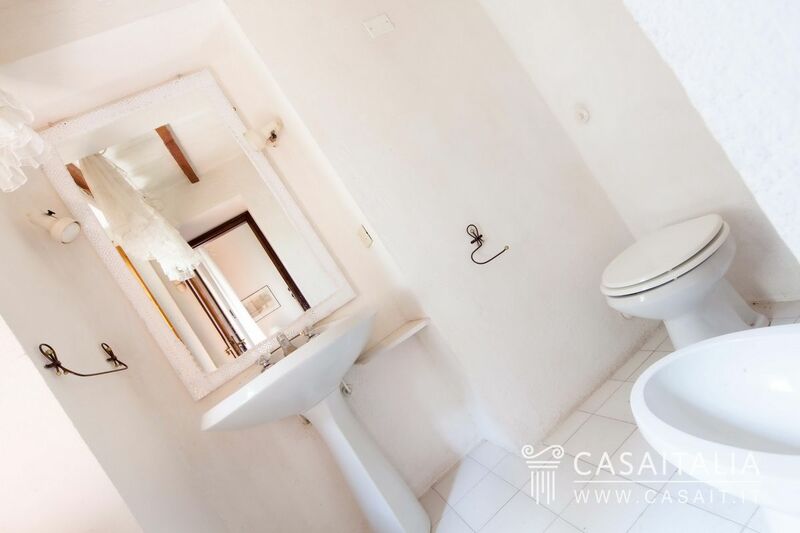 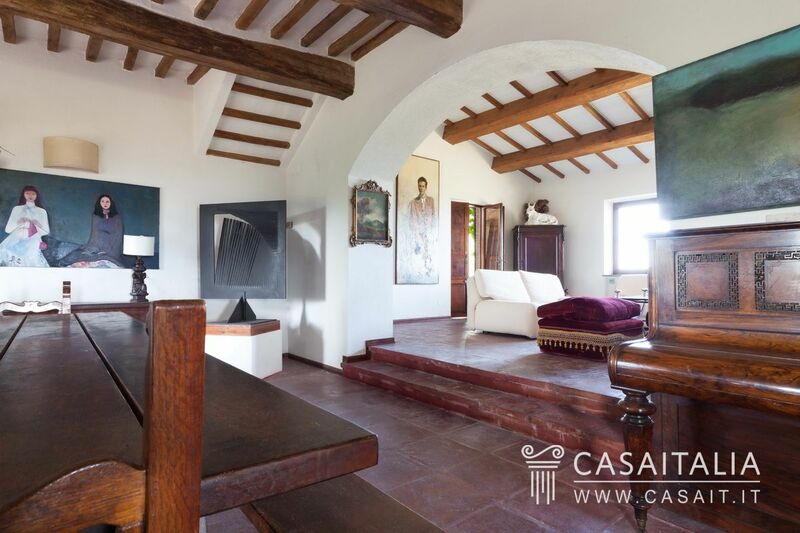 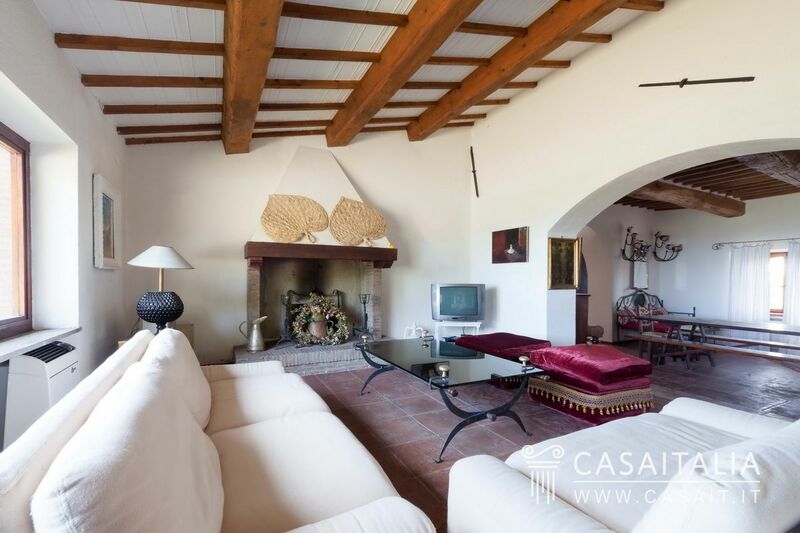 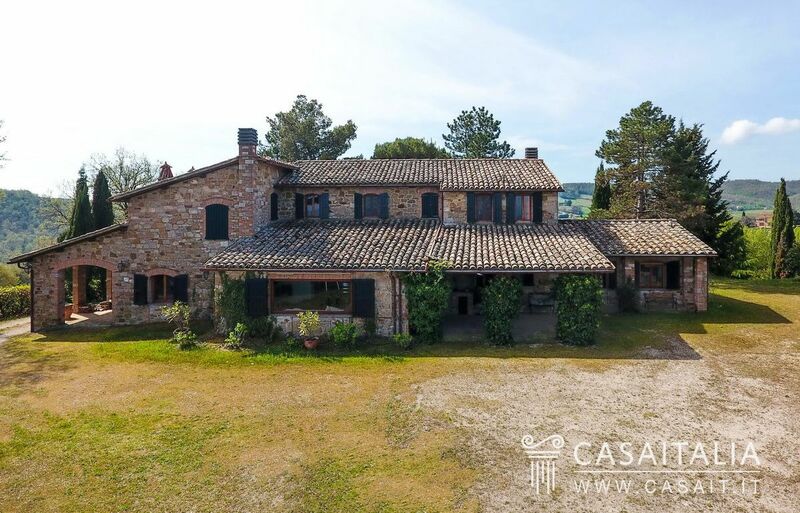 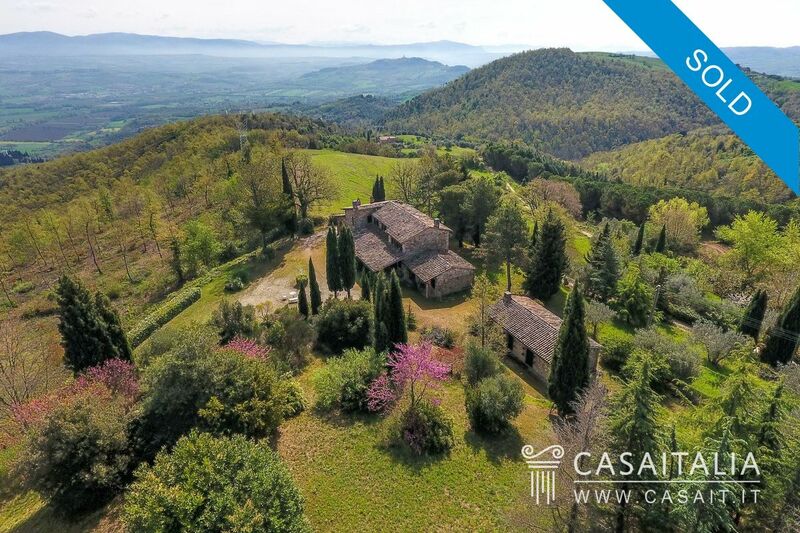 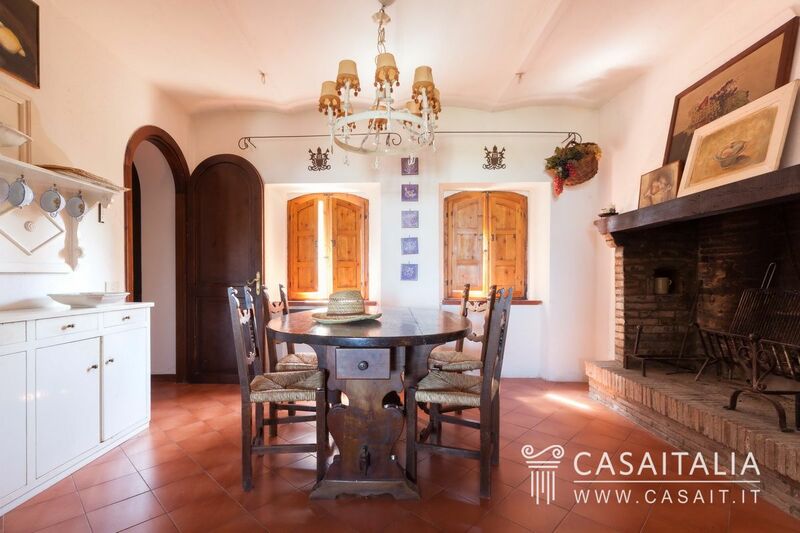 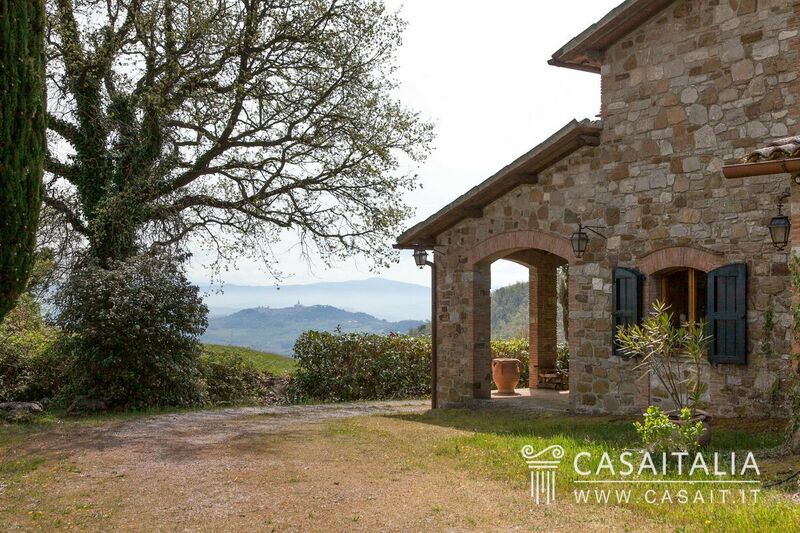 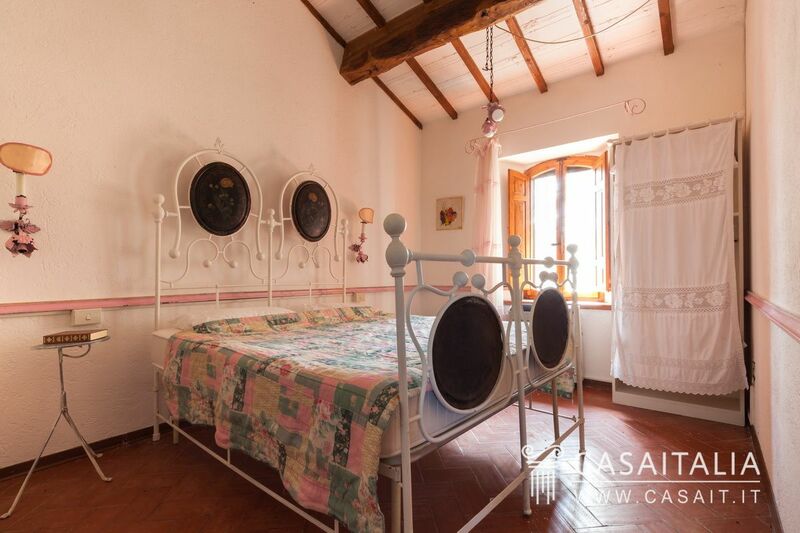 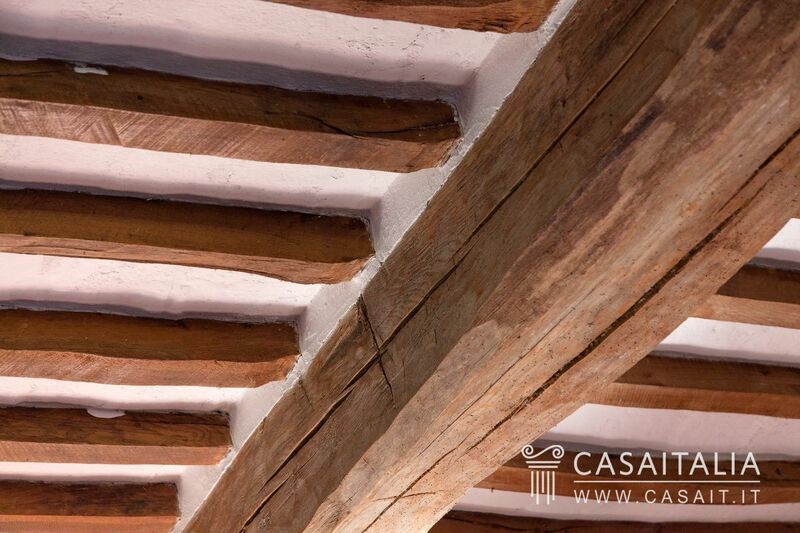 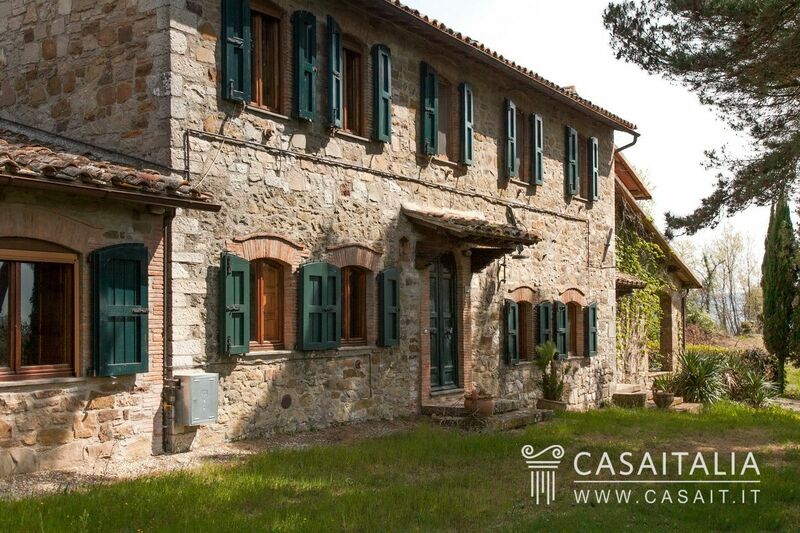 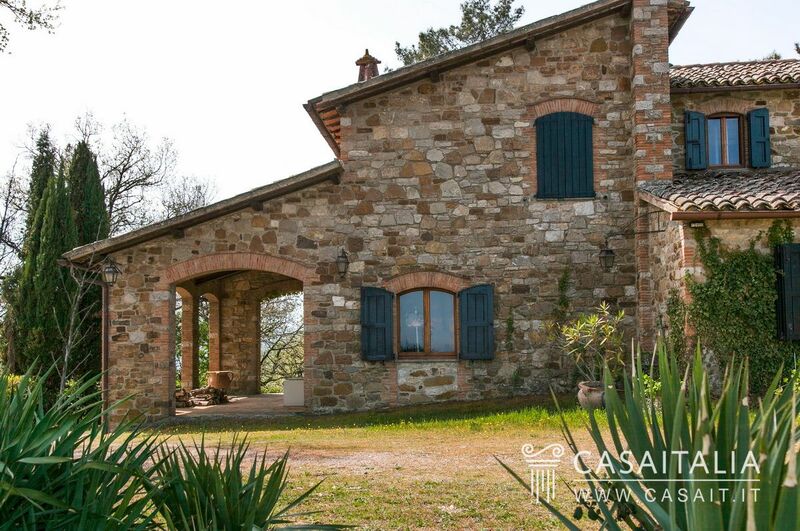 Casale Montecastello is in good general condition and features a traditional structure both outside, with exposed stonework, and inside, with exposed beams and tiled floors. The living area is large and bright, thanks to the many windows and large archways which separate the various rooms. 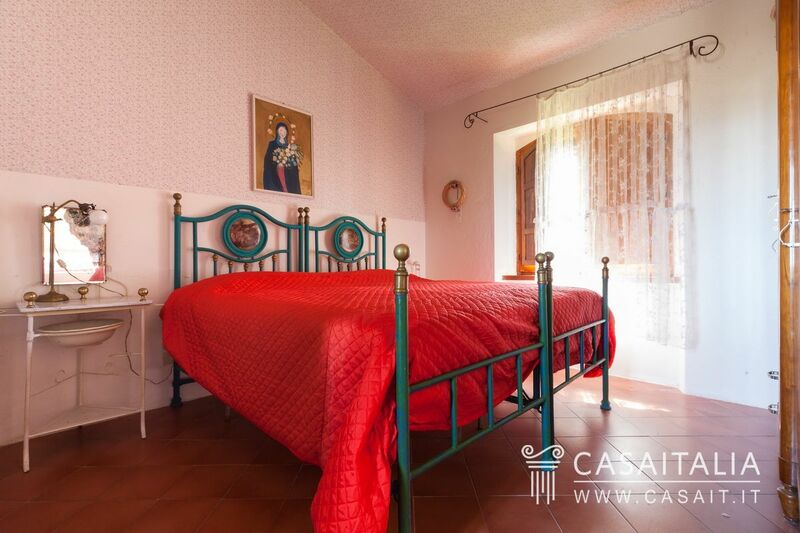 The bedrooms are all double with private bathrooms. 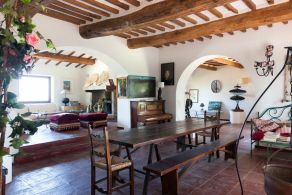 The farmhouse is surrounded by around 7.7 hectares of land, which also includes a large garden area, a little olive grove with 50 trees and an orchard. 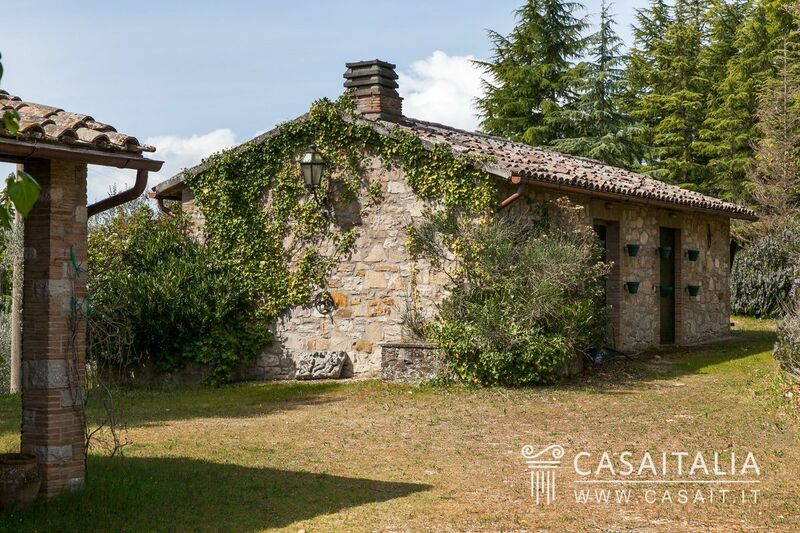 The property is an ideal holiday home, however, due to its secluded but unisolated location, which is convenient and well-connected, it could also be a main residence. 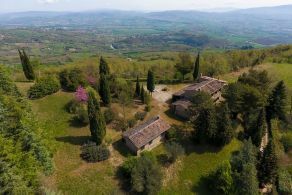 The connections with Rome and Florence are excellent, thanks to the E45 motorway which is just 10 minutes’ drive from the house, and which allows you to reach Rome in around an hour and a half and Florence in less than two hours.